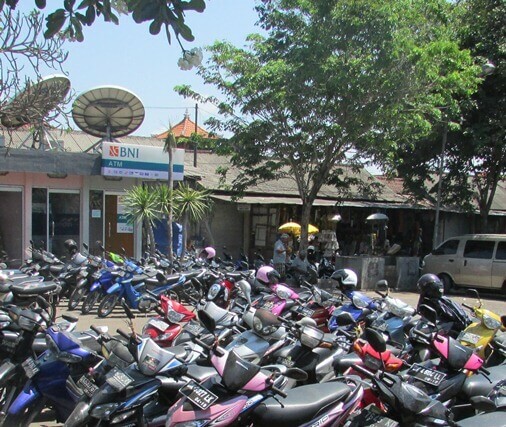 Guwang Art Market is located in Banjar Cemengaon, Guwang Village, District of Sukawati, Gianyar Regency, Bali. The art market offering cheaper rates compared to modern art market and also the uniqueness of haggling. You can start the bidding for a third of the price offered. But keep haggling respectfully and if you are not interested, just say "no" and walk away. 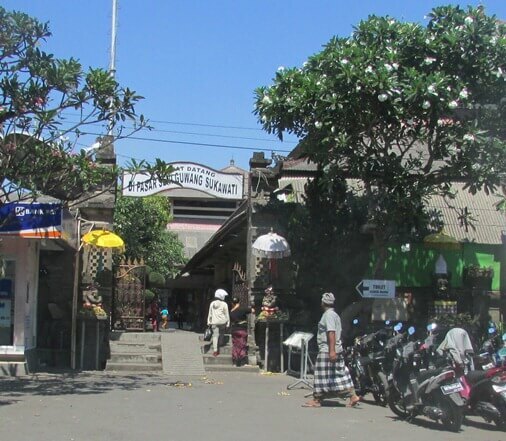 You can find various handicraft of Balinese art such as: paintings, wood sculpture, traditional Balinese dress, craft bags, slippers, bed cover, a shirt with a motif of Bali, pants, and other unique craft. Highly recommended to visit this art market in the morning, because you can get better deals and lighten your souvenir budget. The art market is divided into four (4) block (Blocks A, B, C, and D). Blocks A and D lie next to each other. Block D is a new building which previously used as office of the art market. Across both these blocks is Block B, in the form of rectangle building. At the west end there is Block C, with square shaped building. Art Market Guwang also supported by facilities such as parking of vehicles that are relatively spacious, ATM, and other facilities. 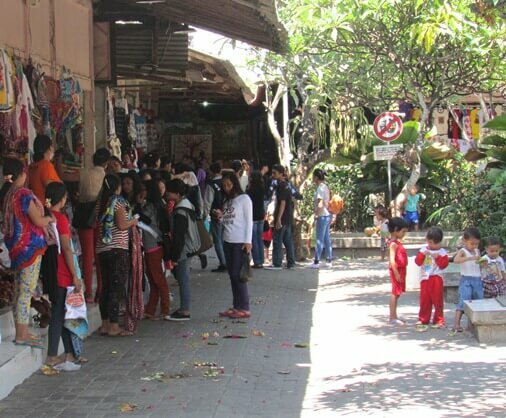 Art Market Guwang officially opened on 27 November 2001 by the Governor of Bali and began operating in 2002.